Our school’s leadership team is reading Tony Wagner’s book “Creating Innovators: The Making of Young People Who Will Change the World” as we grapple with what innovation looks like in schools. (You can follow our discussion on Twitter – #gradedllt) I highly recommend Wagner’s book along with Suzie Boss’s book “Bringing Innovation to School: Empowering Students to Thrive in a Changing World”. It’s extremely easy to find definitions on innovation that we can all agree on. The really difficult step is to change practices to become innovative. 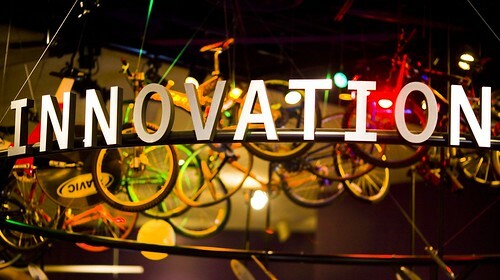 I recently attended a conference where the word, “Innovation” was overused and mis-used. I went to one presentation where the presenter was convinced that his school had been innovative by adopting a program that has been around for 40 years. The new program changed their culture but it certainly wasn’t something that was innovative to the world of education. Our question is, “What is innovation at Graded?” My thinking has gone in two different directions lately. What are we doing at Graded that is innovative? How are we cultivating innovators? Since our Core Values state, “Learners at Graded strive to be Innovative: They engage in creative and imaginative thinking that enables them to extend their learning in original and insightful ways.” I’ve been focusing on #2. 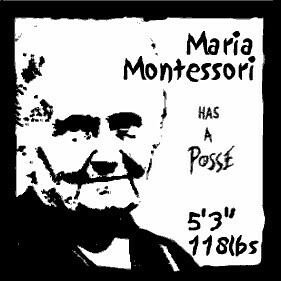 Montessori schools have been cultivating innovators for over 100 years. When you ask someone to list the schools that they consider innovative, how often do Montessori schools make the list? If you consider Wagner’s characteristics of a learning culture that cultivates innovators, you can see why Montessori schools most definitely should be on your list. I’m currently a participant in the Deeper Learning MOOC (#DLMOOC) which is organized by High Tech High and supported by a number of organizations. One of which is Expeditionary Learning Schools. I don’t know much about EL Schools other than I have worked with several educators who once were involved in the organization. I’ve frequently heard from them that, “The EL schools organization, and their schools, aren’t what I would call innovative.” If you look at their website you find no mention of innovation in the “Our Approach”section, yet, it’s easy to argue that EL schools provide students with the type of environment that Wagner has defined. Maybe a truly innovative school focuses on answering both questions. “What are we doing that is innovative and how are we cultivating innovators?